Burlesque Idol winner April 2012 and the Queen of Slap, Dash and Crass, Lolo Brow brings to you Cabaret Derangium. 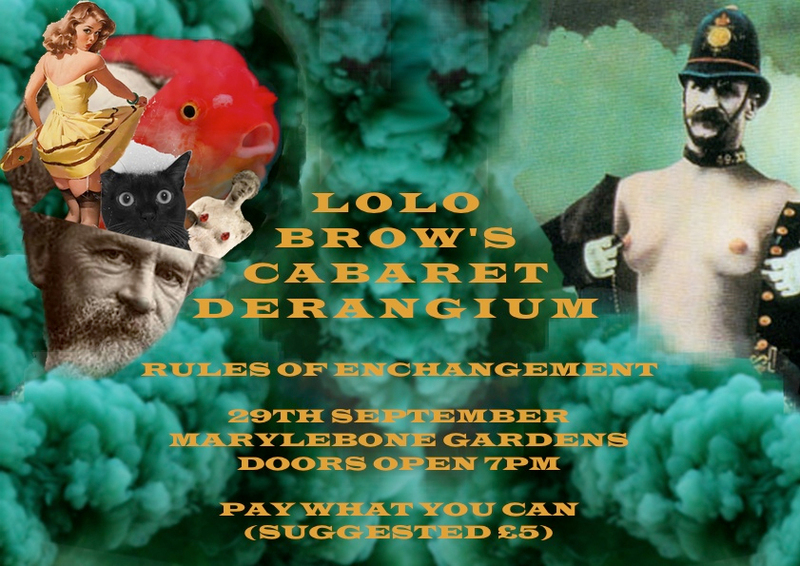 For one night only Cabaret Derangium brings the basement of Marylebone Gardens to life with some of London’s newest and brightest talents in both art and Cabaret. Filled with installation, cabaret, one on one performance and live music, this event truly whispers loudly to all those excitable and slightly condemned.